The revelations are probably not groundbreaking, although that’s what Chris Anderson and David Sally promise in The Numbers Game: Why Everything You Know About Football Is Wrong? But they are certainly thought-provoking and highlight the edge, should you use it properly, that data can give teams. Of course, Wenger was one of the first to embrace statistics. As coach of Monaco in the late 1980’s, he would use a program developed by a friend, called Top Score, to judge players (the program would assign points to players depending on the actions they performed to give a final score). Nowadays, Wenger uses data to validate the way he thinks about the game. “Technical superiority can be measured,” he said in 2008 for Total Youth Football Magazine. -he said after the West Ham win. In the last season too, Arsenal began to learn mastering their own luck. 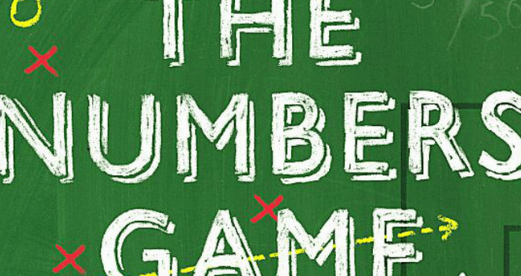 In The Numbers Game, Anderson and Sally reveal that 50% of a match is down to luck. The other 50% means that Arsenal already have won half of the match through their superiority but random variation can swing it the other way or towards their favour. Certainly for the first-half of the season, Arsenal’s’ play was riddled with so many mistakes that it undermined their their ability to win matches, and it wasn’t until they rectified their defensive shape that they saved their season. Indeed, the extra focus on the defence concurs with what was said at the end of The Numbers Game: that keeping a clean sheet helps a team more than scoring lots of goals does. “That’s where we’ve improved the most,” Wenger told Arsenal Player.